SONIC Lab is proud to welcome Prof. Mukherjee of INSEAD. He will speak on Tuesday, April 2nd, 2019 at 11 aM in Frances Searle Building, Room 1-483. Please contact Brent Hoagland with any questions. Conventional wisdom suggests that having multiple speakers (“sources”) deliver content enhances persuasion. Laboratory evidence confirms the folk knowledge and terms it the “multiple-source effect.” As the prior evidence was developed in the behavioral laboratory, it derives from relatively simple laboratory stimuli conveying information on far fewer topics than is typical in the real-world marketplace. Our study addresses this limitation. We investigate the multiple-source effect in all (more than 30,000) product-pitch videos in nine product-innovation-related categories on Kickstarter, an online crowdfunding portal, since its inception in April 2009 to mid-February 2017. We use deep-learning models to algorithmically measure the number of speakers, transcribe and analyze the spoken content, and measure other audial and visual control variables. We document a novel boundary condition of the multiple-source effect—the effect depends on the number of topics discussed in the video. In simpler videos discussing fewer topics, which is more similar to stimuli in prior laboratory studies, we corroborate prior findings that having more speakers leads to more funding. However, in more complex videos discussing more topics, we find that having more speakers does not affect funding. The latter is consistent with the literature on information overload. More broadly, our research demonstrates the potential of deep learning to enable the analysis of large-scale audio and video data in order to investigate human behavior in real-world settings. Prof. Mukherjee is Visiting Assistant Professor of Marketing at INSEAD and Fellow of the Institute on Asian Consumer Insight at Nanyang Technological University. 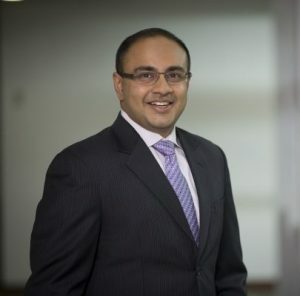 Prior to INSEAD, Prof. Mukherjee was Assistant Professor of Marketing at the Lee Kong Chian School of Business at Singapore Management University. He holds a B.Sc. in Electrical and Computer Engineering (2003), and a M.Sc. and Ph.D. in Marketing (2008, 2009), from Cornell University. He studied at The Doon School, Dehra Dun (353 KA, 1999). Prof. Mukherjee is an expert in quantitative and computational marketing methodology. He develops and applies cutting-edge methods to managerially and substantively important marketing phenomena. His work has been published in prestigious journals (such as the Journal of Marketing Research, Journal of Retailing, and Management Science), featured in popular press outlets (including Forbes), and received several awards (including several best paper awards). He has been invited to give research talks at numerous prestigious universities and he consults and teaches for several major companies (such as IBM, LinkedIn, and Sony).